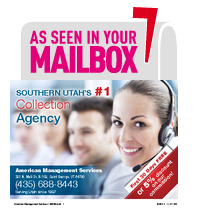 American Management Services Inc. ( AMS ) is a Utah Collection Agency with our corporate office based out of St George Utah. As a fast growing agency our debt collection services are geared to get money collected quickly with a professional approach. We collect on a national level, and our competitive collection fees are set up strictly on a contingency basis. We demand the highest standard of professionalism from all of our account executives with each and every account we handle for your company. We are members of a nationwide network of collection attorneys to assist us in collections, which means results for your business. We are a full Service Debt Collection Agency. We have No Up front fees or sign up charges for our Collection Services. We only earn our commission if we are able to collect money on the account/s you place for collection. AMS is your full Service Debt Collection Agency. We have No Up front fees or sign up charges for our Collection Services. We only receive a fee if we are able to collect money on the account/s you place for collection. If we do not collect, we will not charge a fee for our service. 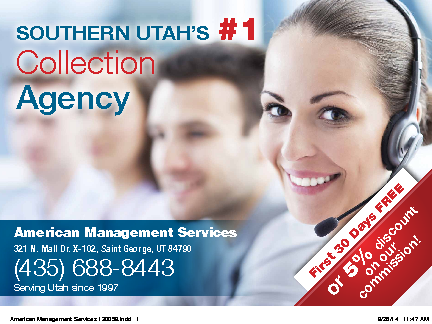 It is our mission at AMS – The #1 Southern Utah Collection Agency, to see to it that our firm is successful in complementing the credit departments of all the clients. As your collection agency, all parts of the recovery process are significant, from the collector that works your past due bill accounts to resolve your recovery needs, to the attorneys that handle the more formal legal actions when necessary. 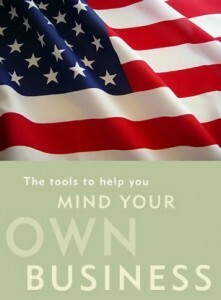 We also want you to be an informed client and because of that, our reporting is second to none. Of course, in today’s fast pace, you can have reports via e-mail, or view your accounts online though our Client Access Link. We can customize our service to fit your needs. At AMS we always put our clients best interest first! At AMS we know that time is money, and for that reason we process your accounts as soon as they are placed for collection. All payments made are immediately deposited into a Trust Account and at the end of every month we send you a statement showing everything that was paid and a check of all money owed to you. Where needed by our clients we offer a unique letter customization to communicate exactly what is wanted. Our rates are also flexible depending on age and account balances. At AMS we know not all clients are alike, and we can design a program to meet your debt collection needs. As your full service debt collection agency, litigation is the last resort in collecting a debt. We have well trained credit collectors which emphasizes quality calls and demand letters allowing our people to manage their time while helping the debtor find ways to pay though our financial programs. However, if a debtor refuses to pay our next step is to go legal. Our company has a network of attorneys in our many associations that we belong to such as American Collectors Association International, and the Utah Collectors Association. Operating our company under the guidelines of the American Collectors Association International, great care is taken in the hiring of personnel to assure that professionalism is maintained on all levels. AMS has extensive training that is on going to keep our collectors up to date with all compliance issues, including but not limited to Fair Credit Reporting Act (FCRA), Fair Debt Collections Practices Act (FDCPA) and American Collectors Association International, Utah Collectors Association, and Health Insurance Portability and Accountability Act (HIPPA) etc. While our primary objective is to collect the monies, we are also concerned with maintaining the goodwill of our clients on a nationwide basis. Apart from many collection agencies, AMS has a strict code of ethics in line with FDCPA to ensure bad debt collections efforts are avoided. We constantly monitor our collectors efforts to ensure a professional approach at all times. We are dedicated to increasing the rate of recovery for our clients in a professional manner, preserving our client’s image in the community and AMS’ reputation in the industry. We pledge to make the experience of working with AMS an enjoyable one for all companies we represent. From the time the decisions is made from your corporate credit department to referring accounts to our collection service; or make changes to your in-house effort. As your debt collection agency we are committed to making the entire process a smooth and profitable one for you. If it is at all possible, we want to turn that debtor back into one of your customers. Your company receives its money and keeps a customer, creating a win-win situation. that our competitive fee, fast turnaround time, high ratio of collected accounts, and quality service justifies utilization of our firm. This commitment makes AMS the professionals in accounts receivable collection. We invite you to review our company and feel free to contact us with any questions or comments that you may have. 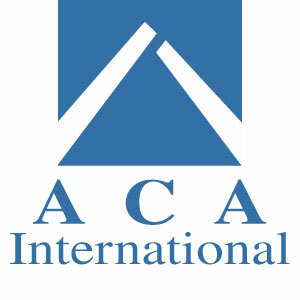 American Management Services, Inc is a bonded and insured full service agency.